This is a post in my new “Awesome Photos” series. Also check out 22 Awesome Photos of Italy! I'm kinda, sorta, maybe just a little bit obsessed with the UK. British accents and Scottish brogues. Old buildings. Fish and chips. Shakespeare and Tolkien and Lewis. Dry humor. The Beatles. Red double-decker buses and phone boxes. Sherlock Holmes. Kilts and bagpipes. And Harry Potter (because we definitely cannot forget Harry Potter). Since I started traveling a lot in Europe 2 years ago, I've easily spent the most time in the United Kingdom. Which is saying something, considering it's roughly the size of the state of Oregon. 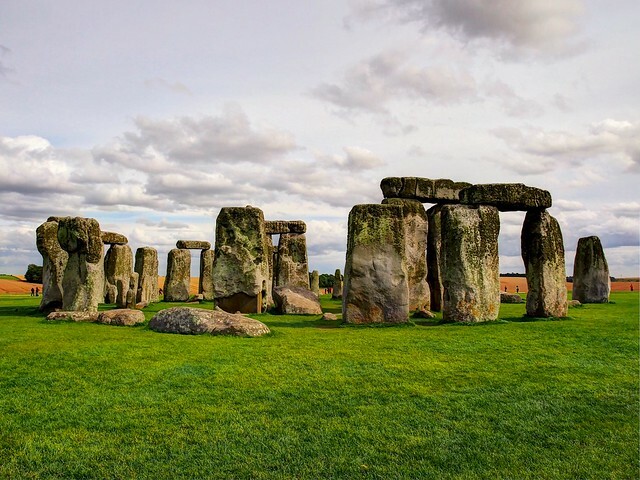 Is it possible to visit England without stopping at the mysterious circle of standing stones known as Stonehenge? (The answer, for most people, is no.) It's not really worth a trip of its own in my opinion, but if you're already in the area, it makes for a nice photo. 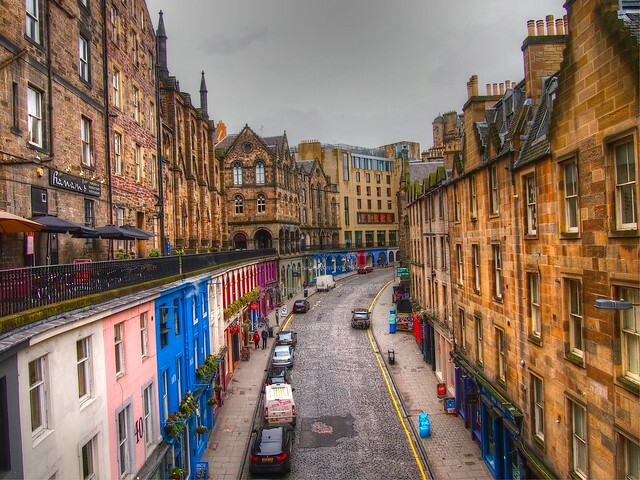 Both the Old Town and New Town of Edinburgh are recognized by UNESCO as World Heritage sites. This photo was taken on my favorite street in the Old Town: curving Victoria Street. Big Ben and a red phone box — it doesn't really get much more quintessentially “London” than this (unless you also get a double-decker bus in the shot). 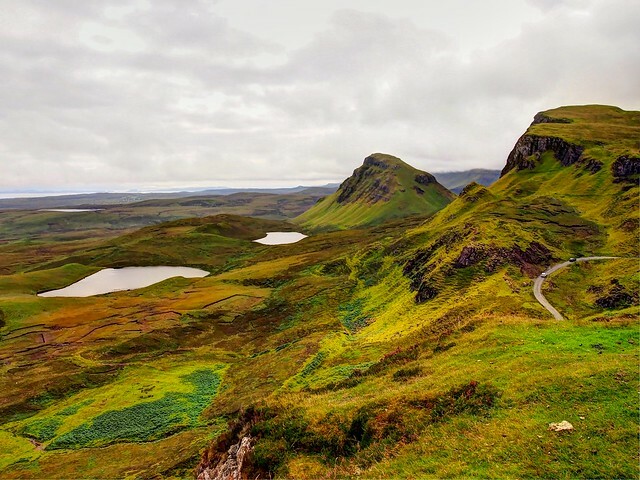 The Scottish Highlands are just as brooding and beautiful as you've heard. My favorite part of Scotland, scenery-wise, has to be the Isle of Skye, pictured here. 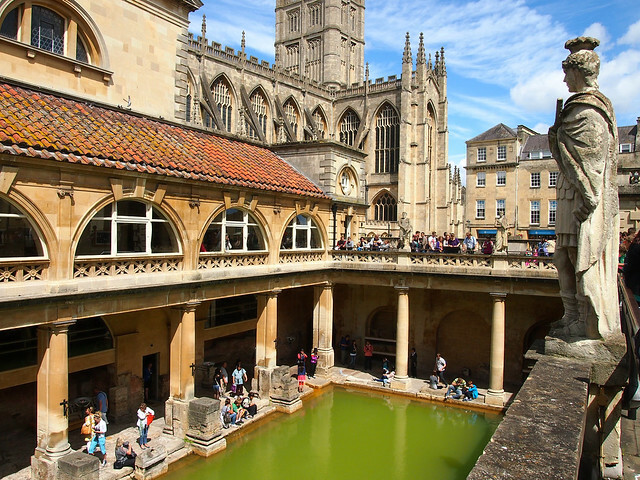 The ancient Roman baths in the city of Bath are well worth a visit for the architecture alone (just don't fall in… water that green can't be healthy!). 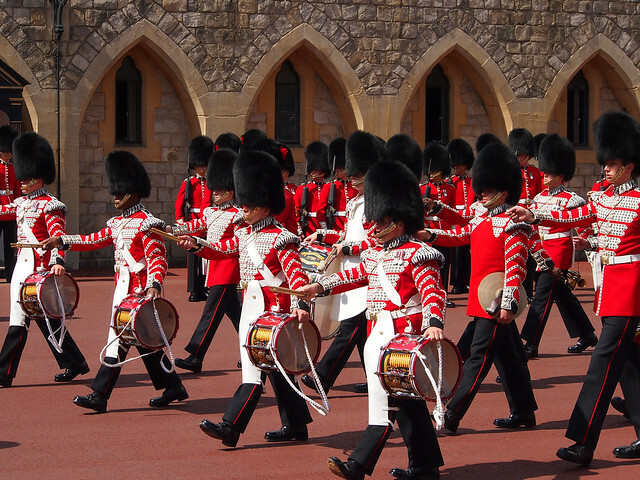 Even though the Changing of the Guard ceremony at Buckingham Palace is the most well-known in the Queen's realm, this photo was actually taken at Windsor Castle — one of the many royal residences in the UK. The Beatles fan in me couldn't go to England and NOT visit Liverpool. And you know what? It's a much cooler city than it usually gets credit for. A typical scene in the Highlands: cloudy skies, green mountains, and some wildflowers (including a purple Scottish thistle!). The landscapes are just one of the many things to love about Scotland. 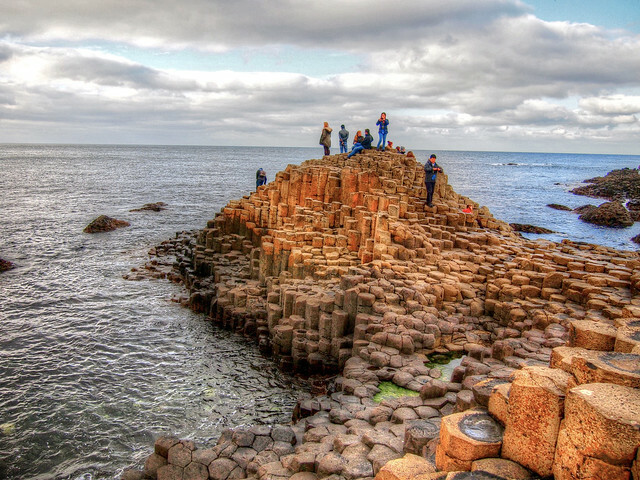 The Giant's Causeway in Northern Ireland is a series of weirdly-shaped rocks that kind of resemble hexagonally-shaped steps. It's a work made 100% by Mother Nature and is definitely one of the coolest places I've visited in the UK. I've actually never been on the London Eye — but that doesn't stop me from taking photos of it every time I'm walking along the Thames in London. 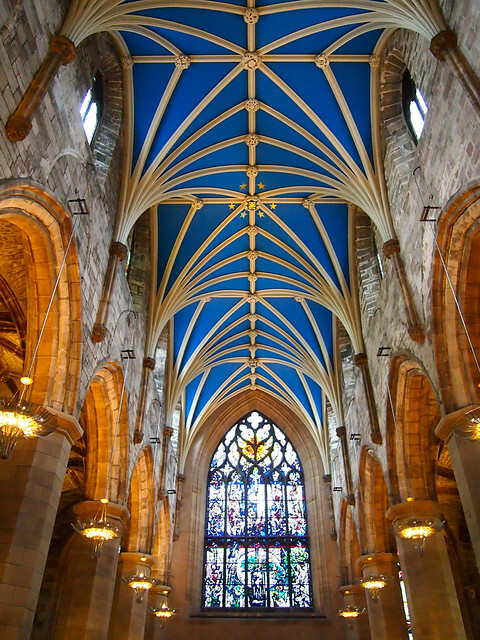 Named after the patron saint of Edinburgh, St. Giles Cathedral is unmissable as you walk the Royal Mile. It's worth going inside, too — this is what the ceiling looks like! 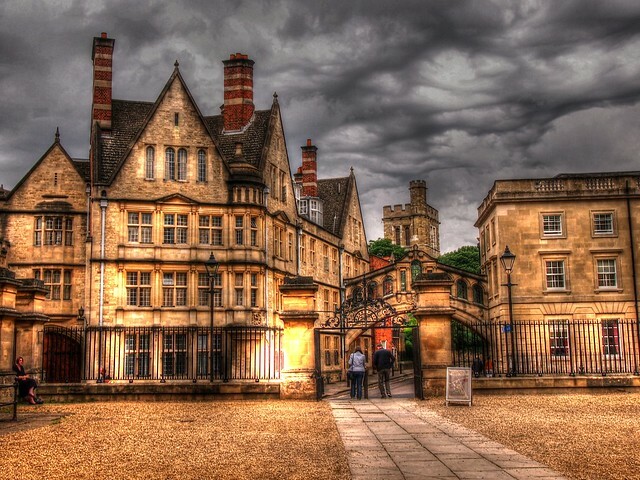 Oxford and its colleges have served as inspiration for many of my favorite fantasy writers — Tolkien, Rowling, Pullman… And I think this photo perfectly captures the kind of magical atmosphere that you can find there. 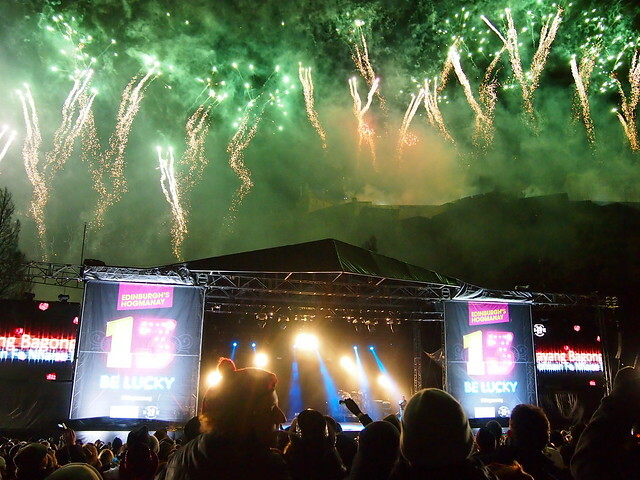 My most memorable New Year's Eve EVER happened in Edinburgh, Scotland — and here's the midnight moment, with fireworks exploding above Edinburgh Castle. 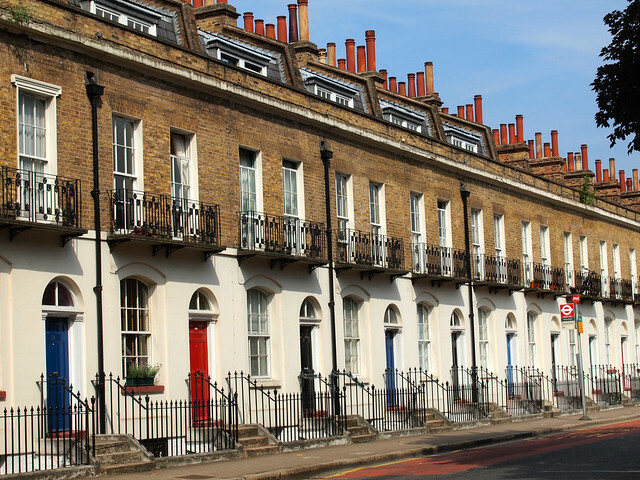 These East End homes drew my eye — the symmetry makes for a really striking photo. My absolute favorite part of London has to be the South Bank of the Thames. On a sunny summer day (yes, I promise they DO happen! 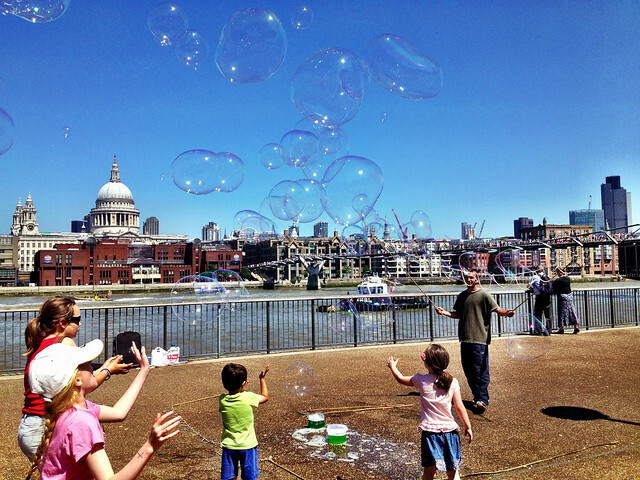 ), the South Bank comes alive with locals and tourists and buskers — it's a great place to people-watch. 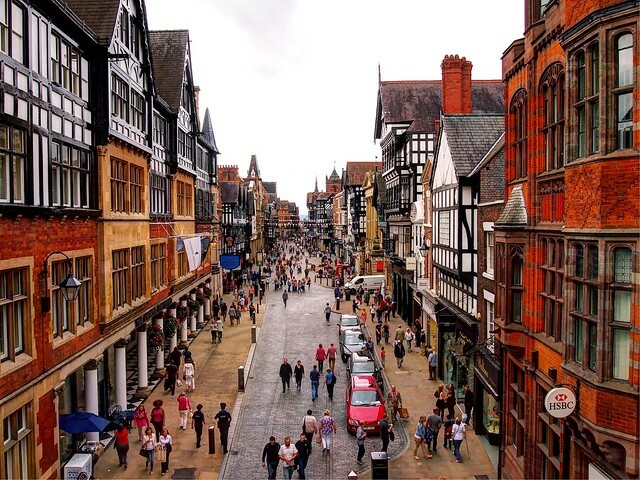 Located close to the English border with Wales, the city of Chester is well worth a visit. The city's Roman past is still evident here, and I LOVE the buildings downtown. Many people who visit Edinburgh hike up to Arthur's Seat to get great views out over the city. But you know what? 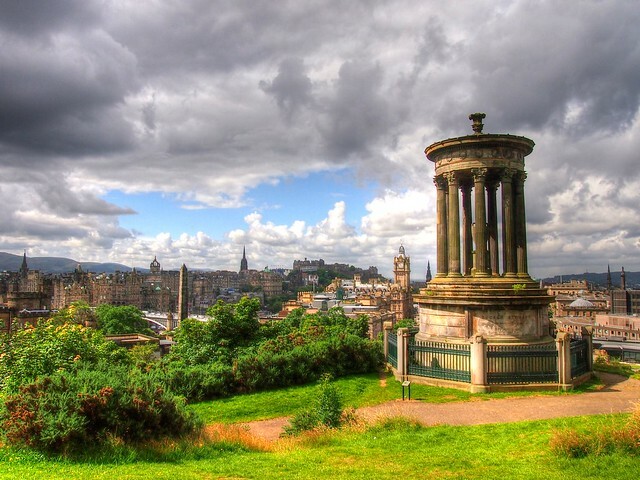 You can also get some pretty awesome views from Calton Hill. 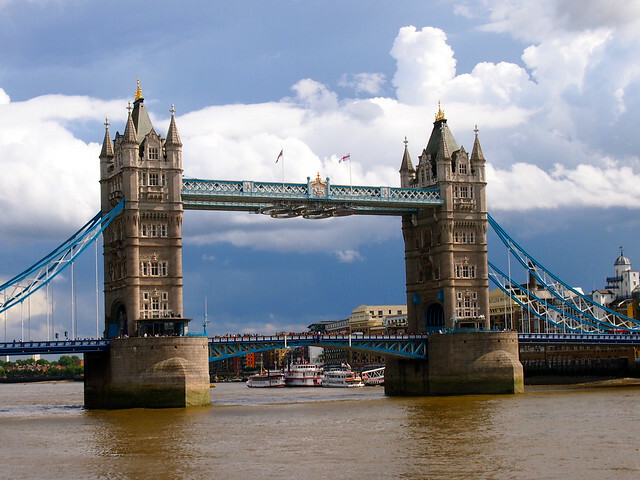 Many people think this iconic bridge in London is the London Bridge. But it's not! It's actually the Tower Bridge. I spied this bike advert in Oxford and fell in love with it. It's not necessarily a fantastic photo, but I think it captures the essence of Oxford quite well. I know I've already shared one photo with you from the Isle of Skye, but I think this spot (known as the Quiraing) is definitely deserving of two photos. 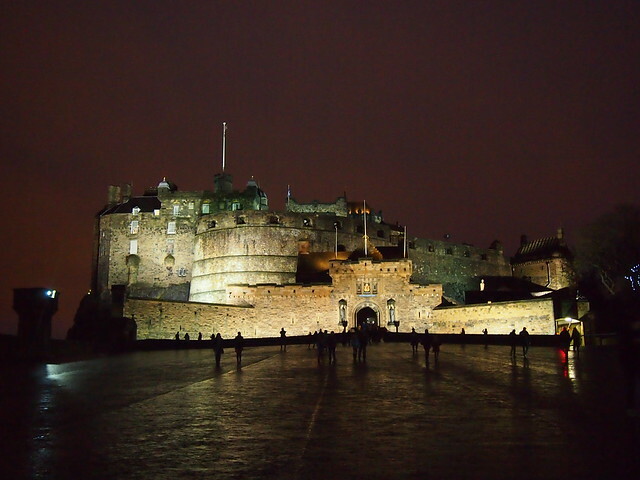 While I'm still of the opinion that Edinburgh Castle is way too expensive to visit, there's no denying that it makes for a pretty sweet photo at night. Camden Town is always a favorite stop of mine when I'm in London. The market and funky shops are always fun for a browse. 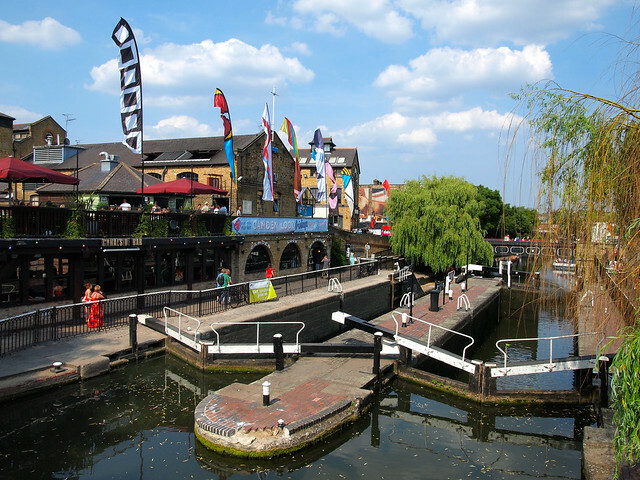 But did you know that Camden is also located along one of London's many lock-filled waterways? Lastly, I'll leave you with another iconic photo subject — Parliament in London. This is a slightly different vantage point, though; can you see the London Eye in the background? 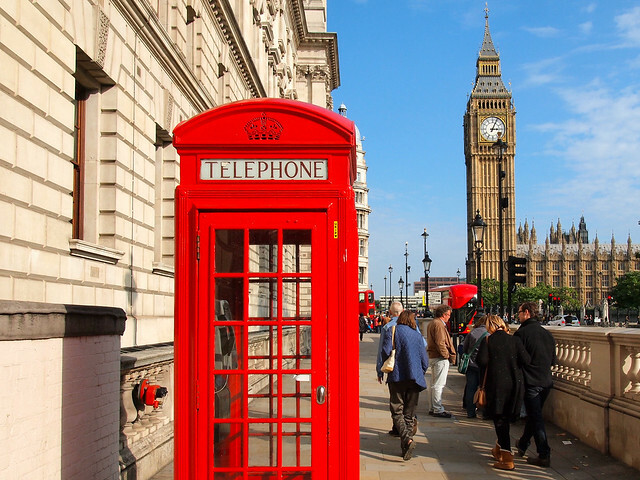 Which photo makes you want to go to the UK the most? Thank you! I had a lot of fun putting this one together! Not gonna lie – it’s pretty awesome! I always find myself drawn back to the UK any time I’m in Europe. Me too! Makes me want to book a trip back ASAP. Good to hear! They definitely have me aching for the UK again! Yes, I took every one of these! Thanks for the kind words! Right now I use an Olympus EP-2 – great camera, but not super expensive. The street scenes in Edinburgh and Oxford are my favourites 🙂 What effect have you used on the photos? They almost look like paintings – stunningly beautiful. 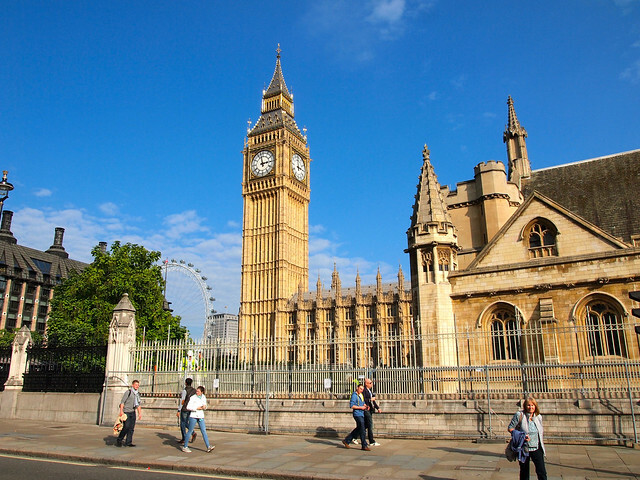 I love the UK too – I ended up living there for 6 years! I miss the Markets and Parks of London so much and of course the Pubs. It’s my dream to one day live in London – at least for a couple of years! United Kingdom is my dream destination too, so seeing these pictures is a sheer delight for me! 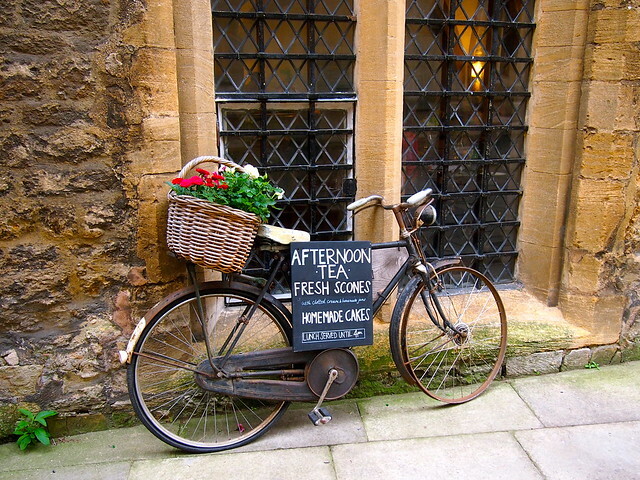 I loved that afternoon tea-cycle photo the most! I’m glad you liked that photo, Renuka! I almost didn’t include it, but I really like it, too. Haha so many people from the UK hate London. I don’t get it – I would kill to be able to get a work visa there! Brilliant photos! I love England. You included some cities I missed while visiting there. 🙁 Ineed to go back! Great photos! I have been to most of the places and cannot believe I actually have to leave London in three weeks. Haven’t had time to see the Isle of Skye but it sure looks somewhat magical. The Isle of Skye is amaaaaazing! Highly recommended! Well I live here (by the way if you really love the accent we should just Skype instead of e-mail 😉 haha), but I really love Bath! I usually head up there after a trip when I’m in the midst of post- trip blues to soak in the spa & chill out. Oxford is really pretty, but you only need a day there, really. York- have you been, at all?- is gorgeous! I really want to go back there again. In London, I’m totally obsessed with The Tower of London & Tower Bridge, it’s expensive but I absolutely would recommend paying to go into the Tower of London, especially if you catch a Yeoman tour. I really want to go again now the poppies are being displayed for the Centenary of WWI. I have NOT been to York yet – it’s just never worked out. But it’s certainly on my list! I’ve heard great things. And I totally agree that the Tower of London is well worth a visit! OMG, Chester! I was there years and years ago and I LOVED it! The history, the architecture, the vibe – I was just so cool. People rarely seem familiar with it though! Glad to see it highlighted here. Great photos! I’m glad I made it to Chester – such a gorgeous city! Great photos! I think the London Eye makes for a cool photo from afar, but it’s totally not worth paying to go up. That’s what I’ve decided to. 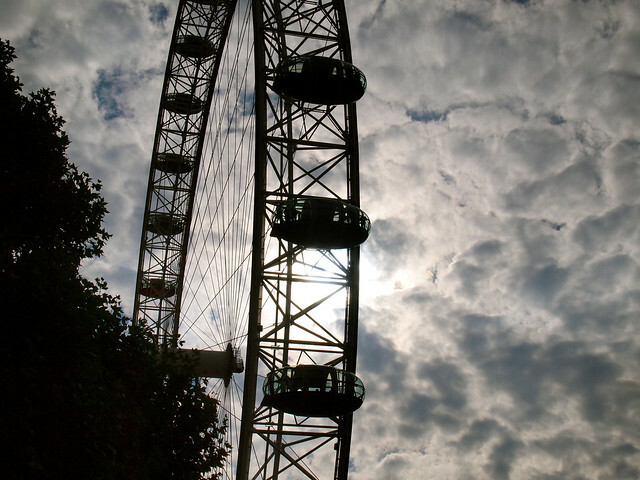 I may eventually go up the London Eye if I’m traveling with someone, but I haven’t been able to justify it so far! This photos are great! I feel a little bad that I’m British and I have a feeling you’ve seen more of the UK than me! I’m too busy exploring elsewhere I forget how amazing the UK is! 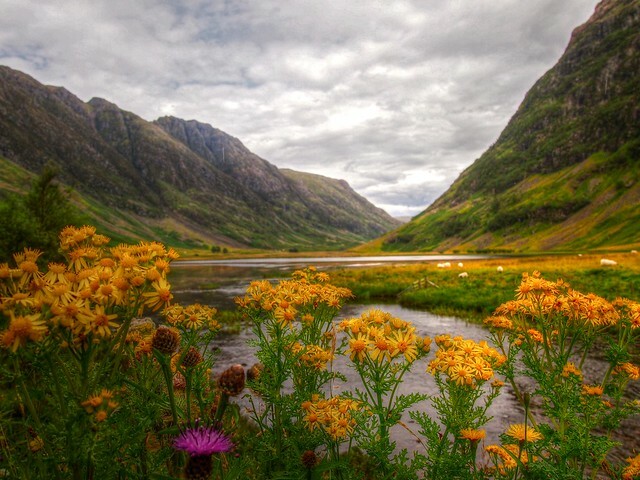 Love the Highlands photo. That’s how it usually goes – we tend to ignore the things that are right in our own backyards! I am also obsessed with the UK!!! Your photos are amazing!!! I need to take some photography classes before my next trip to the UK. Thanks, Janelle! It’s awesome to see/hear so much love for the UK! I haven’t seen much of England and haven’t been to Wales at all, but I have spent 5 months of my life in Scotland and absolutely loved it. From the crazy Scottish accents (especially the one from Glasgow) through enchanting Edinburgh to the beautiful Highlands, where I spend most of my time. Crazy enough I haven’t been to Isle of Skye! I can’t believe it till this day, but I can proudly say that I trekked to the top of Ben Nevis in the typical Scottish weather – downpouring rain! It was still worth it! Major kudos for tackling Ben Nevis! That’s definitely an accomplishment. 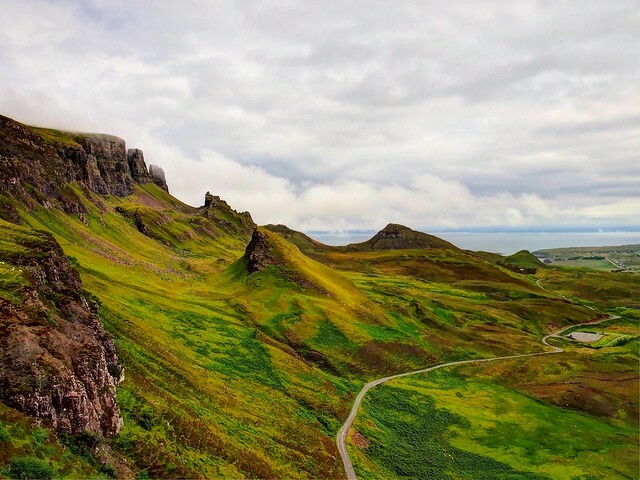 You should totally try to get to the Isle of Skye, though! It’s so beautiful. They all make me want to go back! I was heart broken when I had to leave London after living there for two years. With London as a base, the opportunity to travel to so many amazing countries is much easier than here in Australia. I miss being able to just on a train or plane and in a few hours i’m discovering a new country or region of the UK. Thanks for sharing your great photos and helping me reminisce. Part of the reason I’d love to live in London for a while is how easy it is to get to so many places! And for relatively cheap! “Budget” flights barely exist in the US anymore. I Love your photos! They look amazing, I want to explore the United Kingdom better when I go there again. Keep up the good work Amanda! Thanks! There’s more to see in the UK than most people realize! Even though it’s small, each part is so different! Great photos! I’d love to travel around the UK some day. As a mountain lover, I can not believe the diversity of highland scenery that can be found in Scotland. It just defies description with its beauty! I totally agree, Selma! The Highlands are out of this world! Lovely photos ! I especially want to go to the Isle of Skye, I’m obsessed with it, it seems to be such a wonderful place to be, I NEED to go there ! It’s beautiful. I definitely want to go back! Believe it or not, I’m pretty sure Ohio gets just as much grey weather (if not more) than London. So maybe that’s why I doesn’t bother me so much! Though I’ve visited most of these places, your pictures are great and make me want to revisit them, especially Scotland! Scotland is a place I always want to go back to! Thanks for sharing. I think the Quiraing definitely deserves two photos. It’s my favorite place in Scotland. I’m secretly in love with the UK and their lovely people. I have been there a few times, but there are still many places to visit on my list like Cornwall. I love your picture of the London icons; Makes me wanna hop on a plane right now! 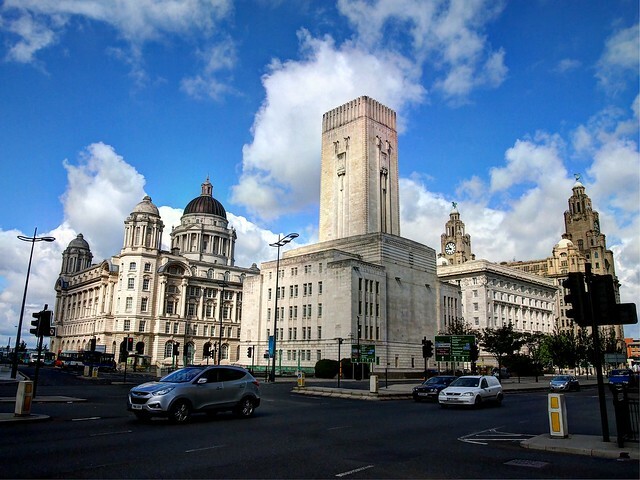 I was born in the UK and I would encourage anyone planning a visit to head ‘up north’ rather than staying around London. The hebrides in Scotland are fantastic – head up to Oban then hop across on the ferry to Mull. York and Harrogate are also fantastic, as well as the Peak District including Castleton, Eyam and Buxton. The UK has tons of great spots (and I agree on Scotland! ).